OTTAWA— Industry leaders say the federal Liberal government will face a complex decision — with deep economic consequences — if the U.S. makes good on its threat to slap tariffs on Canadian-made cars and trucks. 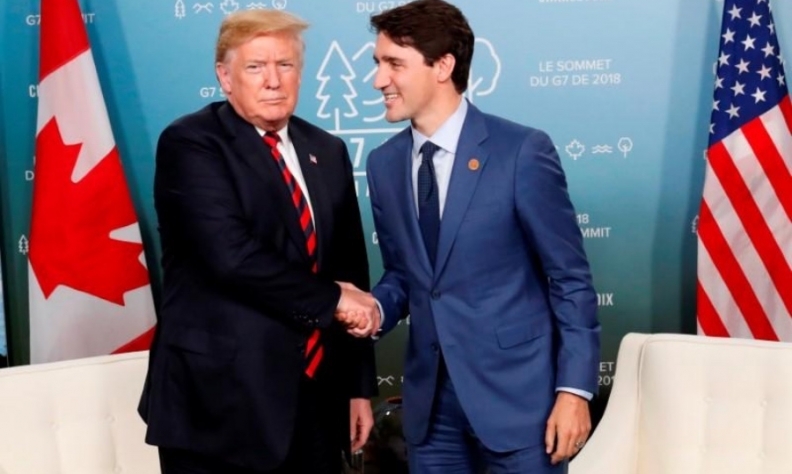 Ottawa recently retaliated against U.S. President Donald Trump's levies on Canadian steel and aluminum with reciprocal duties on American imports of the metals, as well as dozens of consumer products. However, if Canada's auto sector does indeed become a Trump target, many fear any Canadian countermeasures would have a far greater impact on jobs and the economy in this country than the fallout from the steel and aluminum tariffs. Canadian Automobile Dealers Association chief economist Michael Hatch is urging the federal government to resist retaliatory tariffs on autos, saying full-scale reprisals would put up to 30,000 jobs at risk in Canada's retail sector. Auto Parts Manufacturer's Association president Flavio Volpe says even though the impact would be devastating to the sector, Ottawa would have no choice but to take precisely the same measures against the U.S.
Foreign Affairs Minister Chrystia Freeland has said repeatedly that the federal government's strategy on tariffs is to neither back down nor escalate the dispute. The U.S. Department of Commerce is investigating the possibility of auto tariffs on national security grounds, and many observers believe Trump could be in a position to make a decision as early as next month.